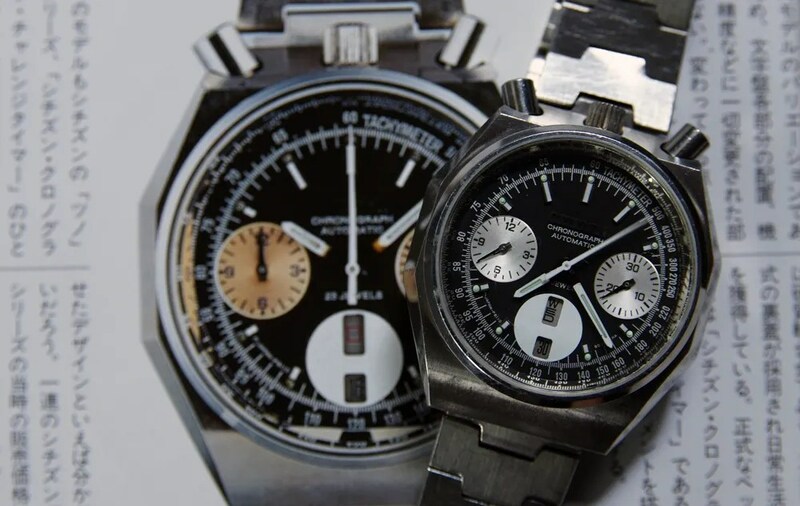 This entry was posted in Vintage Watches and tagged Citizen 67-9356, Citizen Challenge Timer, Citizen Vintage Chronographs, Vintage Citizen Chronograph 8110A, Vintage Citizen Watches. Bookmark the permalink. Hi! 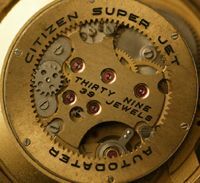 Recently I received as a gift a Citizen vintage watch and in my search for information about it I’ve found your blog. 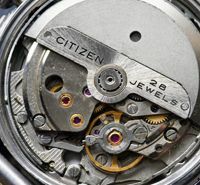 It’s really interesting and has already help me to figured out so much about this watch, but I was wondering if you could tell me a little bit more about it. It isn’t a wristwatch and there isn’t alot of information available, as far as I could find. It’s hand winding and it could be a pocket watch, or a necklace watch, since it’s kind of small. 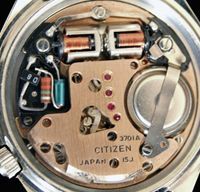 Do you know if Citizen ever made this kind of watches? Also in the front the numbers are roman numerals, the center its dark blue, with a circle around it of black and white stripes. I don’t have a picture right now, but I will try to upload one. Hi Alzilei, thanks for visiting my blog. 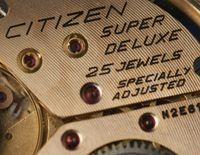 The watch you have is an unusual model, but Citizen did make small pocket watches. The ‘Marine Star’ marking is something I don’t recall seeing before, so I’d very much like to see a pic 🙂 You can’t post an image directly here, but if you upload a pic to something like Photobucket then you can post a link. The markings on the back all seem authentic – is it ‘STAR’ rather than START? 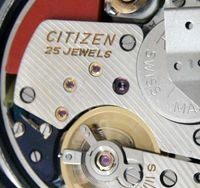 STAR is used on cases up to the end of the 1960s. The model number – HOOS-2001 – is a valid one, and indicates that a ‘Homer’ (02) movement is inside. Given the ‘parawater’ mark this is a pre-1970s model – so I would think it’s March of 1968. Hi Alzilei, thanks for the link to the pics 🙂 Firstly the case looks correct – do you know what size it is? My example of a Homer pocket watch measures about 43mm wide.